I’ve reviewed a production of Shakespeare here before and I’ve reviewed a book by Margaret Atwood here before, this book combined both Shakespeare and Atwood and, a trademark of both writers, is beautifully comic and tragic at the same time. ‘Hag-Seed’ focuses on Felix Phillips, an avant-garde theater director who is unceremoniously sacked from his post and ends up teaching literacy via Shakespeare’s plays in a correctional facility. Throughout the novel he is trying to deal with the grief of having lost his daughter, Miranda – whose name comes from ‘The Tempest’, he is also trying to get revenge on the people that led him to be sacked from his perfect job just as he is about to stage his ideal ‘Tempest’. I have never read or studied ‘The Tempest’ but I thoroughly enjoyed this book despite that, Atwood teaches the reader about the nuances of Shakespeare’s text via Felix teaching his convict-students about it. 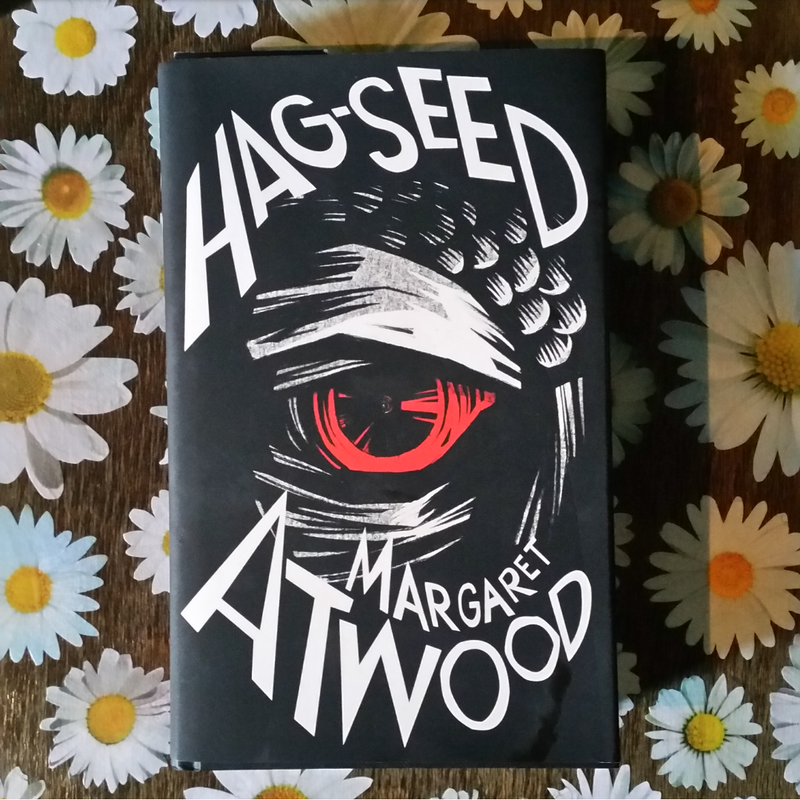 I grew very engaged with the plot of ‘The Tempest’ and its parallels to the plot of ‘Hag-Seed’. Shakespeare is not held up as a literary deity in this book, his work is stripped down and played with, rewritten and re-read through the minds of multiple characters. A part which I found especially charming is the first task Felix sets for his pupils – find all the swear words in the text then, as a group, choose your favourite ten, these are the only swear-words his pupils are then allowed to use in the class.